Today we have an article from Conservatory Furniture, giving you ways to furnish not just indoors, but outdoors too. Nowadays we spend more time in our gardens and conservatories so it makes sense to have them looking as good as possible. The right kind of conservatory furniture will reinvigorate your extra room and make it a place where you will want to enjoy your garden on a wet day or sit in the sun with a relaxing drink after work. You may be surprised at the huge variety of conservatory furniture available today and the difference it can make to any conservatory. Whether you are looking for just a couple of chairs and a coffee table or a full suite of conservatory furniture with accessories you won’t be disappointed. 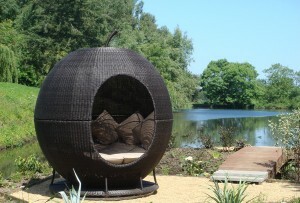 Our natural rattan furniture is hard wearing and finished to a very high standard in a natural core rattan weave. You might like the Mirage corner unit and coffee table for an up to the minute look for your conservatory. The new Montana range of conservatory furniture is crafted from beautiful natural hyacinth with cushions of natural Orkney fabric. If you are looking for a bargain then we have a range of discounted suites, including the MGM Lichfield and the Alaska suite. Brands like MGM and Ocean Designs conservatory furniture often have special offers so it is worth watching out for these from time to time. Our Performax ranges of conservatory furniture are made from high quality water hyacinth and the Bellagio dining suite has stylish black ash hardwood chairs and dining table. If you like sitting or entertaining in your garden in warmer weather then our rattan furniture offers comfort and durability. 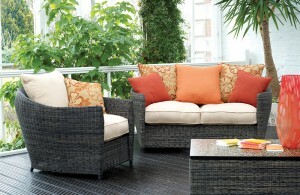 The Monaco range of outdoor rattan furniture is stylish and comfortable with a modern twist. You will love the attractive and weatherproof Monaco dining chairs and table, the table is made from composite granite, while the rattan chairs are designed for comfort and ease of cleaning. No matter what your requirements for conservatory furniture and outdoor conservatory furniture, you will find everything you need at www.conservatoryfurniture.co.uk.